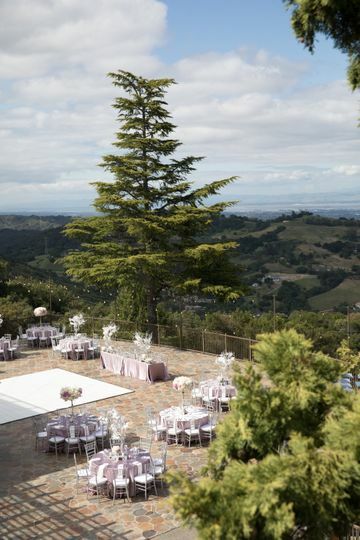 The Mountain Winery is a winery wedding venue located in Saratoga, California. 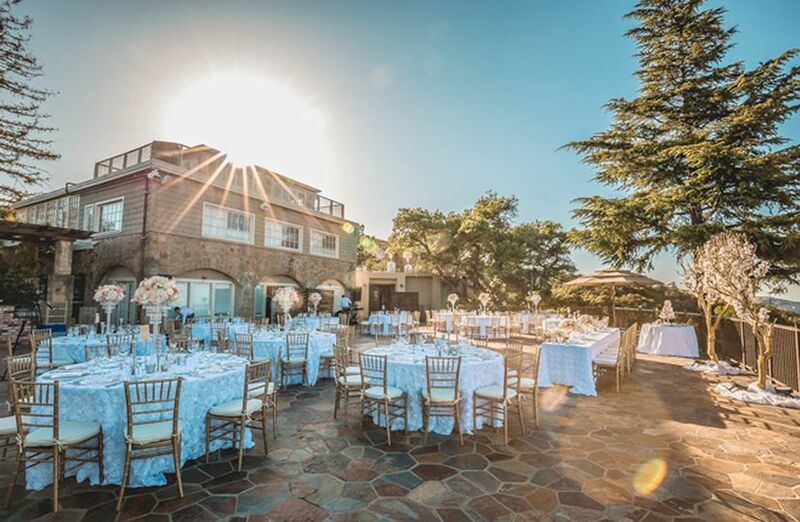 Reminiscent of a romantic European vineyard, this facility provides magnificent views, an unsurpassed atmosphere, succulent cuisine, and attentive staff. 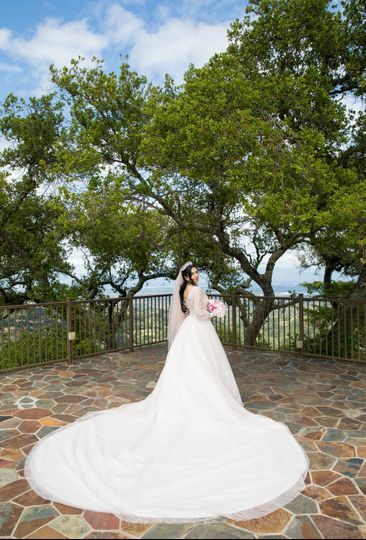 This historic mountain top retreat allows you to take advantage of The Mountain Winery’s many event locations and personalized services for an unforgettable wedding experience. 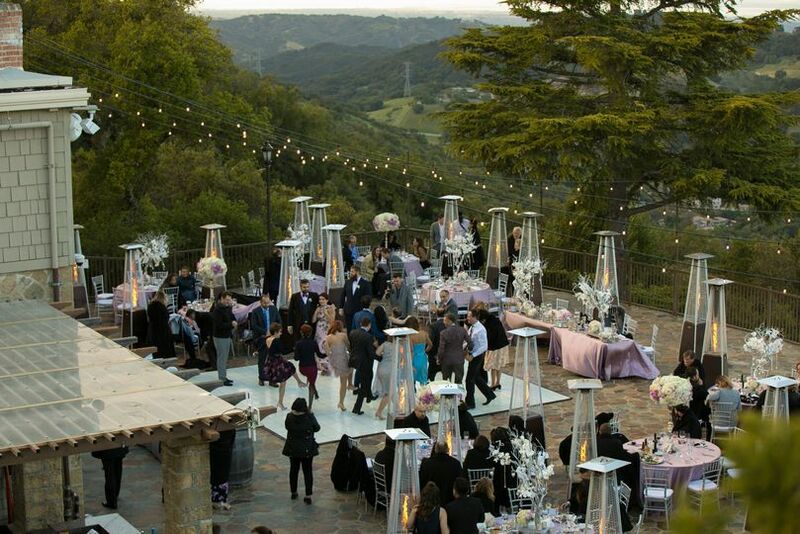 The Mountain Winery offers several indoor and outdoor event spaces which can accommodate up to 2,500 wedding guests. These spaces feature state-of-the-art production capabilities and on-site parking. 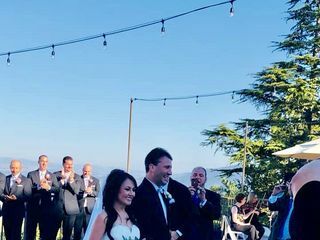 Many couples choose to have a ceremony under cascading trees on their Vista Deck which overlooks the rolling hills and host a reception on their Chateau Deck. This space features panoramic views of the San Francisco Bay area. 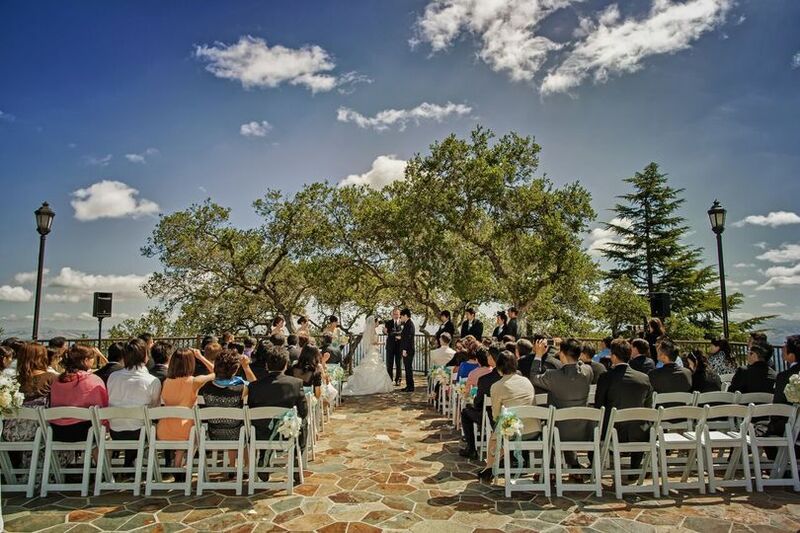 Another option is to wed in the impressive open-air theater and dine inside the wine cellar’s vine-covered walls. 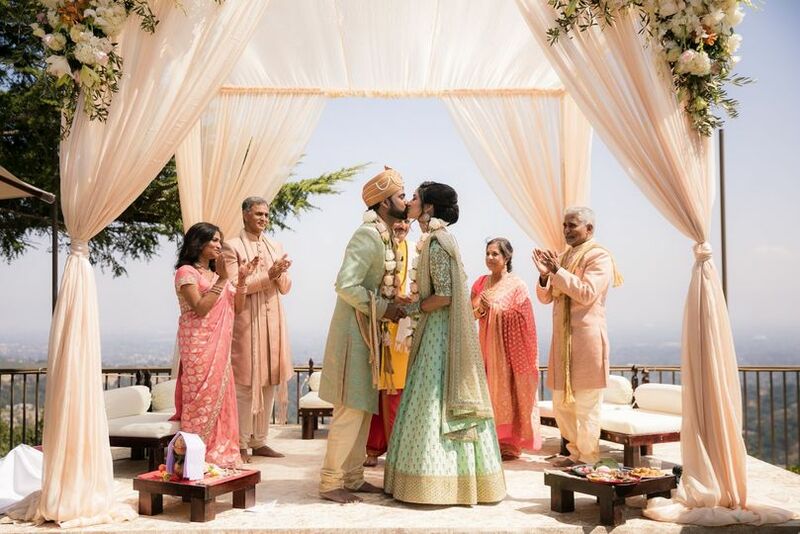 Throughout the day, you will also have access to get ready rooms for the wedding parties to utilizes during the festivities. Dine on a variety of upscale food and drink options at The Mountain Winery. Catering options include hors d’oeuvres, cocktail reception, buffet, plated, stations and tastings. Additionally, this catering team can provide bar services and are happy to set up and clean up all the chairs, tables, linens, and china you will need for your event. 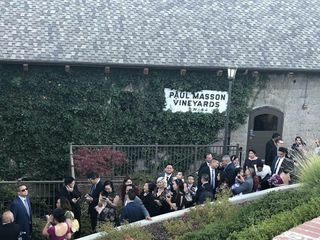 In 1905 in the small, secluded town of Saratoga, Paul Masson completed building his “Vineyard in the Sky.” A year later, the winery’s cellar lay in ruins after the great San Francisco earthquake. By 1907, a new wine cellar was built and a concert bowl was constructed on the property in 1958 on which performers such as Diana Ross, Willie Nelson, and Ray Charles have played. 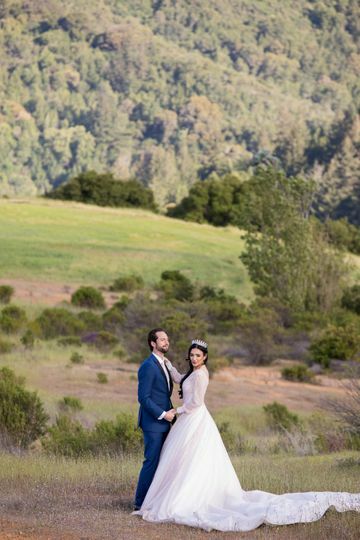 AMAZING experience planning our wedding with The Mountain Winery!! We got married at the Mountain Winery on the Winery Deck and held the reception in the Grand Hall for our brunch wedding. We could not have had a better team to work with than Ariel, Pete, and Kristina! They were flexible and helped us through the unknowns of our planning. 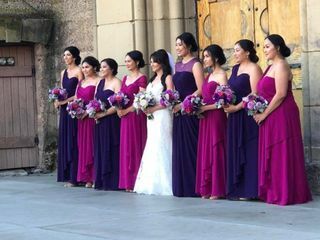 They made recommendations for local vendors and designed a beautiful layout for the ceremony and reception. We and our guests were truly impressed by the professionalism of the staff and the quality of service. Jessica and April of Global Gourmet, the in-house catering team, were great to work with and the food was delicious! 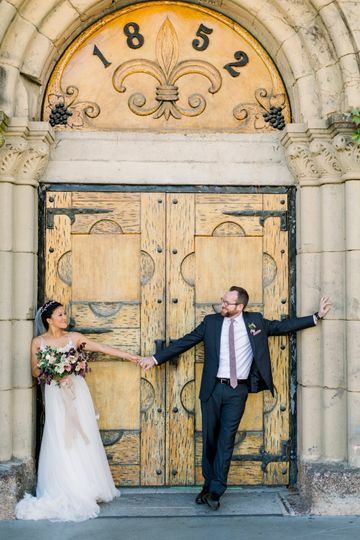 We had a brunch wedding reception at The Mountain Winery (TMW) a couple of weeks ago (Feb 2019) and are still so overwhelmed by how great the staff was. The whole process of booking and working with TMW was so intuitive and smooth. We were anxious when we found out that TMW had switched catering companies a month and a half before our reception, but the transition to the new company was seamless and we got a free tasting out of it! We had a brunch buffet with a dim sum bar that was a big hit with our guests. 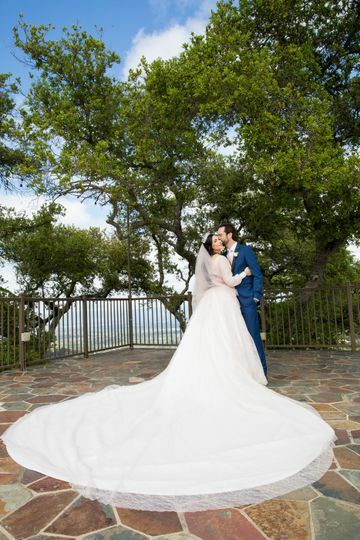 Everything worked out great the day of. We were really impressed that TMW staff had actually been in contact with our dessert caterer and our photographer beforehand to hash out logistics. Ariel and Pete who were our main points of contact were super responsive and proactive to our needs. April, Jessica, and Elaine (the food/catering coordination team) were also really nice and helpful. 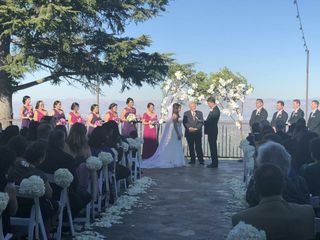 The venue rental was a little more expensive than what we originally planned for, but the space (banquet hall and patio deck) was so gorgeous and the staff was so helpful that it was really worth it. The venue is so pretty itself we spent very little on decorations (basically just some flowers in small vases for the centerpieces on tables). We really have no complaints!